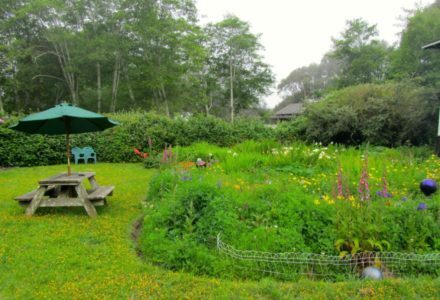 Welcome to our Northern California oceanfront Bed and Breakfast in charming Westport! Howard Creek Ranch Inn is located on a 60-acre farm surrounded by miles of Pacific Ocean beach and mountains on the spectacular Mendocino Coast. We are a proudly family-owned and operated business, and when you stay here, we treat you as one of our own. 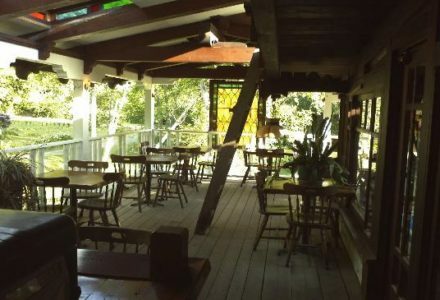 We offer a variety of accommodations, including rooms in the 1871 farmhouse and the historic carriage barn, as well as 4 rustic Redwood cabins for total seclusion and tranquility. A hearty ranch breakfast is served each morning, included with your stay. We are pet-friendly! 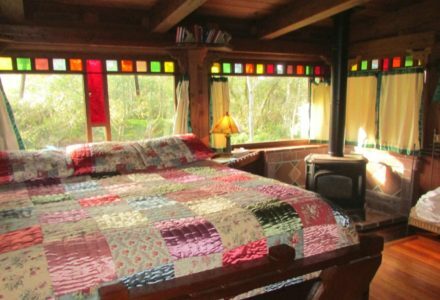 There is plenty to do in the area – visit the ancient, gigantic redwoods, take the famous Skunk Train, shop in the village of Mendocino, go horseback riding on the beach, or just relax in scenic splendor. We are also nearby the Lost Coast, a hauntingly beautiful 60-mile stretch of wilderness. Another highlight is our 75-foot swinging bridge which spans Howard Creek as it flows to the beach. There is wonderful hiking both on-site and nearby – we would be happy to share our local knowledge with you. Children Policies: Howard Creek Ranch is a Romantic Retreat, oriented toward adults. Smoking Policies: Smoking is restricted to the outside only.